Mined tungsten ore is ground into a powder that is typically molded into a bar shape, which can then be cold or hot-rolled into flat sheets, and further flattened into tungsten foils. This process incorporates a vacuum annealing furnace, which is an important tool used for the heating and cooling process that strengthens the tungsten. Further equipment used when processing tungsten for tungsten foils include various types of mills, straighteners, hydraulic plate shears, water jets and pressing machines. Sintering is a significant and necessary aspect of the processing of tungsten bars, which are what tungsten foils are developed from. The tungsten bar is rolled through a press, which compresses the tungsten with great pressure, consolidating the tungsten particles. The result is a thin foil of tungsten, which is fragile and bends under its own weight. The foil may be rolled down to a thickness of only 0.001 inches and can vary in width. Tungsten foil normally comes in sheet or coil form, depending on its thickness. Tungsten foils can have a variety of finishes, but most commonly have a similar appearance to that of steel. Tungsten is appreciated for its high melting point, good corrosion resistance and significant strength when combined with other metals. In addition to tungsten foils, tungsten suppliers produce tungsten in bar, sheet, rod and powder form. Tungsten foils, as well as other forms of tungsten, useful for many different industries, including the construction, engineering and medical industries. Commonly, tungsten is combined with other metallic elements, as to provide greater strength and resistance to wear-and-tear; these are called tungsten foil alloys. Combining tungsten with steel is a typical example of this. Tungsten alloying is commonly used for things such as radiation sheets, light bulb components, packaging materials, cables, shipbuilding, electro-vacuum industries, metallurgical machinery and electronics. High purity tungsten foils and sheets are also available, though not commonly used due to their brittle and hard condition; because pure tungsten is highly conductive to electricity, though, highly pure tungsten foils are used mainly in electrical applications. 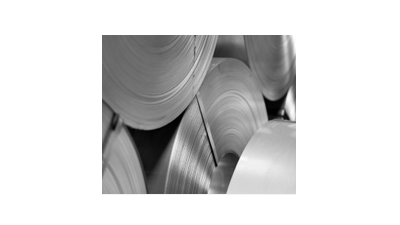 Tungsten Foil Tungsten foils are produced for applications such as aerospace, scientific research, microprocessors, satellites, coatings and others. Tungsten foil is so thin that it may be embedded in glass, other metals and laminates.